Thousands of people from across Colombia joined opposition Senator Gustavo Petro in Bogota on Saturday to seek their movement’s formal recognition as a political party. Despite receiving 42% of votes in the second round of the presidential election in June, Colombia’s National Electoral Council (CNE) refused to recognize Gustavo Petro and his “Humane Colombia” movement as a political party, effectively barring the popular politician from taking part in local elections next year. The CNE consists of representatives of the political parties that could see their political power in Colombia’s provinces and municipalities diminished by Petro, whose movement is supported by dozens of social organizations from throughout Colombia. While Colombia’s Inspector General announced to challenge the CNE’s decision, Petro called on his supporters to take part in the first formal assembly of the movement he wants to be recognized as a political party ahead of the local elections. Some 6,000 Petro supporters gathered on Bogota’s Simon Bolivar Square on Saturday to formally ratify their membership of the movement they want to be recognized as a legitimate political party. The meeting was also accompanied by representatives of political parties who have rejected the CNE’s controversial decision. During the movement’s “national assembly,” Petro presented his intended political party’s statutes he plans to present before the CNE in a second attempt to be recognized as a political party before the local elections. The opposition leader called on President Ivan Duque to support his attempts and use his influence to convince the political parties that make up the CNE to recognize Humane Colombia as a legitimate political party. 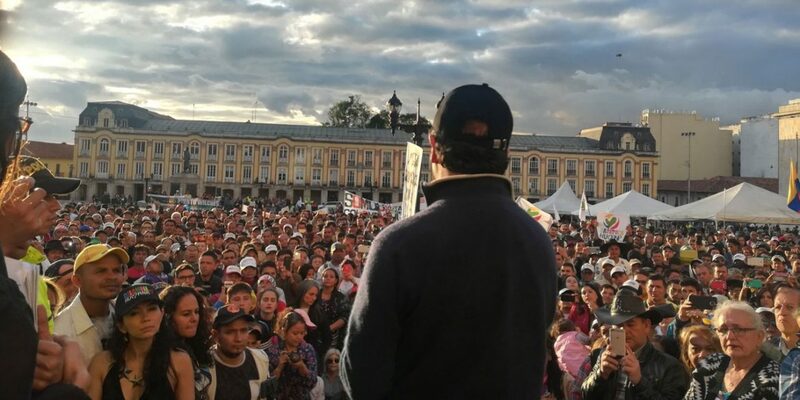 While Petro — who received 8 million votes in June — is taking the administrative steps that would allow his movement to take part in next year’s elections, the Inspector General’s Office is investigating whether the CNE illegally violated opposition rights.